Details of all Team Grafham Activites are available here, where all courses and other activities can be booked. Team Grafham caters for young sailors aged 8 upwards with a range of experience. We include race training and seamanship skills for the more experienced sailors. 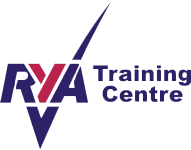 For those sailors who have just mastered the basics, perhaps on one of our Stage 2 courses, Team Grafham offers a great way to develop skills and confidence, as well as having lots of fun and meeting other young sailors. Run at the same time as Team Grafham, this is the next stage and is the opportunity for our youth sailors from age 13 upwards to develop their skills more independently. Following last year’s successful introduction, this year we are again offering “Team Grafham Racing” for our young sailors on Sunday afternoons. There will be two races; the first at 2pm. The intention is to build on the Team Grafham experience and take the next steps into organised racing. The racing will be run in conjunction with the Club Sunday afternoon racing sessions, but with a separate start and quite possibly a separate course and in-race coaching. Meet in the Cafeteria from 13:00.